*Hunter Douglas Authorized Dealer* For over three decades, Cricklewood Interiors has delivered fun and exciting shopping experiences for those seeking unique furnishings, accessories, art and décor. We specialize in solid, top quality products built in Canada and the USA with incomparable warranties. In addition, we carry an exceptional, one-of-a-kind selection of draperies, window coverings, and blinds in Calgary. With a visit, you’ll also discover our reputation for extraordinary customer service and residential and commercial design consultation. Browse our 12-thousand sq ft showroom and enjoy a specialty coffee while you experience the Cricklewood difference for yourself. Welcome To Wicker Land Patio & Home Furniture Canada. We are a family owned & operated business established in 1983. Our commitment to customer service, quality and selection have allowed us to grow year after year. Our friendly staff invite you to browse our huge showrooms, each a tropical paradise loaded with wicker and rattan furniture, all weather wicker patio furniture, cast aluminum patio furniture, umbrellas, firepits, baskets, silk plants, exotic home decor and much more. Wicker Land believes you should not have to settle on furniture you may have for the next 50 years. All of our collections are mix and match. •You can get any chairs with any table or any combination of items that will fit your indoor or outdoor room best. •Choose your frame colour. Many of our collections come in 3 or more options. •Choose from the hundreds of fabrics, both indoor and outdoor We are a full line indoor & outdoor wicker and rattan store who pride ourselves on our knowledge of our product, our service to our customers and the variety of furniture we are able to offer. We are members in good standing of the Better Business Bureau. We are open 7 days a week to serve you better! 8 years ago we sold our first dining room tables out of the back of our small family van. We've come a long way since then, now operating out of an 160,000 square foot showroom packed from wall to wall with Calgary's largest selection of unique & timeless home furnishings. We are a family run business who's family values run deeply through to the core of all that we do at Showhome. We view every one of our customers as the newest addition to our ever growing Showhome Furniture family and seek to treat every customer interaction with the same level of attentiveness and care we offer to members of our own family. We believe that the spaces we occupy have a great effect on the way we operate and live our lives. A space that is both functional and aesthetically rich offers clarity, peace and the invaluable feeling of "home". We travel the world and our own backyard of Canada to bring you timeless furniture items that contribute to creating such spaces. With now over 50 suppliers we feel confident that there is just about something for everyone here. Our name is Showhome Furniture because a showhome is a space you can feel proud of. 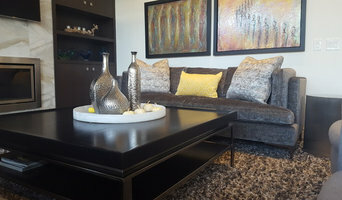 Here at Showhome Furniture it is our goal to make every home a showhome one piece at a time. Showhome brings in brand new in the box furniture to make your home look like a showhome. New items arrive daily so it is best to FOLLOW US on FACEBOOK where we post new pics, deals and contests. Meticulously hand-crafted by a wood artist in Okotoks using local reclaimed & new wood, our furniture combines classic designs and modern conveniences to achieve extraordinary character and visual interest. Decades ago, we started conceiving our first pieces of alternative hand-made furniture using environment-friendly materials and timeless designs… and that is how LIKEN Woodworks was born. Today, with years of experience, we are able to bring you unique, high-quality custom furniture that will add a touch of authentic timeworn charm to your home. Metro Element has been proudly serving the Calgary area since 2005. We are family owned and operated, born and raised right here in Calgary. Our team of talented interior stylists are committed to sourcing quality furniture, home décor and gifts for you. We are proud to say we offer custom designed sofas and upholstered goods that are manufactured in Calgary. Being a lifestyle one-stop shop, we have everything to make your space look its best. Our full service floral department are happily available to help you with any occasion whether you are looking for a birthday or just because bouquet, house plant, or are planning a wedding or event. Our creative team specializes in weekly corporate orders too. We always look forward to creating a fresh masterpiece designed especially for you. We are trend forward thinkers and are committed to providing you with the best service possible. 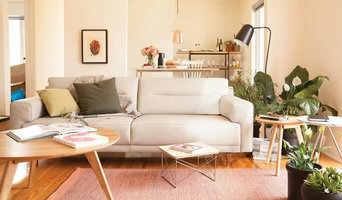 We are interior stylists to home builders, developers and homeowners. Located in the trendy district of Kensington just two blocks north of downtown and across the Bow River, our retail and design centre is amongst many other great businesses including unique shopping boutiques, top restaurants, cozy coffee shops, happening pubs and many other great services. It’s definitely worth spending your day shopping in Kensington and while here, you might as well stay in the area to enjoy a lovely meal or cocktail. 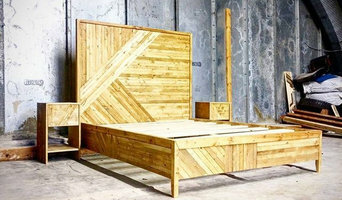 Xibit is a DESIGN TRADE SERVICES company sourcing Furniture | Art | Decor. Brining success to our clients is our #1 Priority! Specializing in design and building trade services for commercial and residential projects, Xibit executes excellence and delivers results by forging a smooth transition on move-in day. We endeavour to make projects seamless and stress free. Xibit provides the procurement of furniture, art and accessories for our clients. We can assist in space planning and sourcing. Our scope of business includes large scale projects or purchasing on a piecemeal basis. We ensure that project installs are completed within set budgets and time constraints. Our decades of experience is exemplary. As a one-stop shop for designers, we minimize the time they have to spend sourcing product so they can focus on the other elements of their projects. With 28 plus years in the furniture industry, I am a supplier of high quality, North American made, theme oriented dining chairs, counter stools and bar stools. Products are available in wood or metal construction, indoor or outdoor use and stationary or swivel options. Numerous wood and metal finishes, fabrics, leathers and seating options to choose from including the "C.O.M." (Customer's Own Material) option! Maria Tomás Indoor & Outdoor Living since 2001 , A Full Service Shop, An easily accessible location in the Manchester Park Area. (3 blocks E. of Chinook Centre) We specialize personalization for the home, both Inside and Out! Sofas, chairs, dining tables, bedroom, draperies, bedding, lighting, accessories, Farrow & Ball paint & wall paper and outdoor living, patio furniture. Let us help you be original, Don't be a pe-fab "room in a box!" We Love Wood! Much of our wood is salvaged from unwanted local trees. Our passion is to handcraft unique client designed furniture to last for generations. Each solid wood project features Nature's content of knots, pigments, live edge and grains of history. Kit is your destination in Calgary for the best in classic modern furniture and home accessories. We carry genuine originals from the most renowned names in modern design; Charles and Ray Eames, Eero Saarinen, Isamu Noguchi, Philippe Starck and many more – all from the authentic, licensed manufacturers. We think of them as practical luxuries; beautiful, functional objects that stand the test of time, each with its own story. We have stuff you’ll love. Stuff for the body, the brain and the bedroom. Stuff for gadget junkies, art enthusiasts and bourbon buffs. Stuff that’s made with form, function and a bit of frivolity. It’s stuff for living, for style, for you.